﻿ Cobblestone street in Trinidad. There are several onlookers in this cobblestone street. A vender walks with his horse, which is used to carry his wares. 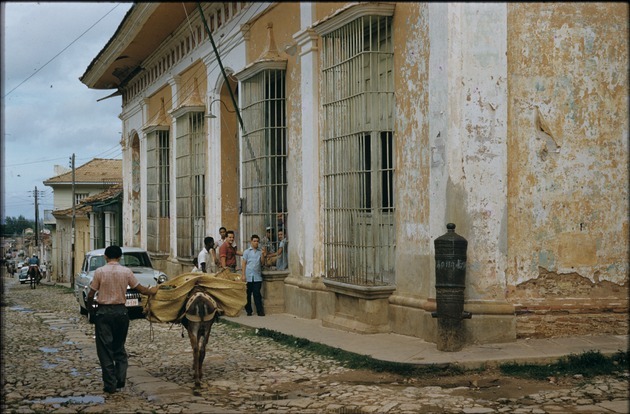 The buildings in this area are visibly old and peeling, and there is a man on horseback in the distance.